Amazing results for our 2018 Helmets for Life Campaign! - Zehr Insurance Brokers Ltd.
Our 2018 “Helmets for Life” campaign was our most successful to date! 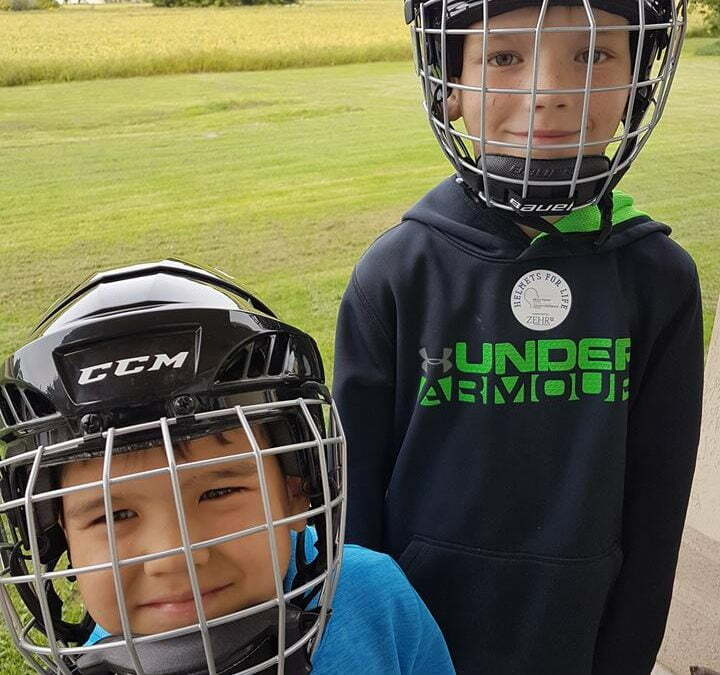 In our 3rd year of this initiative, we purchased over 145 hockey helmets for youth in the communities of Mitchell, Listowel, Central Perth (Milverton & Monkton), Tavistock, New Hamburg & Waterloo. A special thanks to Dunny’s Source for Sports, Corley’s Source for Sports & Sportco Source for Sports for helping facilitate this. Zehr is proud to support Brain Injury Canada as our lead charitable organization. The goal of our Helmets for Life program is to raise the profile of Brain Injury Canada and increase awareness of concussions and brain injuries through education. Our hope is that through the helmets we purchase for youth in our communities and promotion of the program; parents become aware of the seriousness, symptoms and signs of concussions and the work of Brain Injury Canada. We can’t wait for the 2019 campaign as we look to give away more helmets!